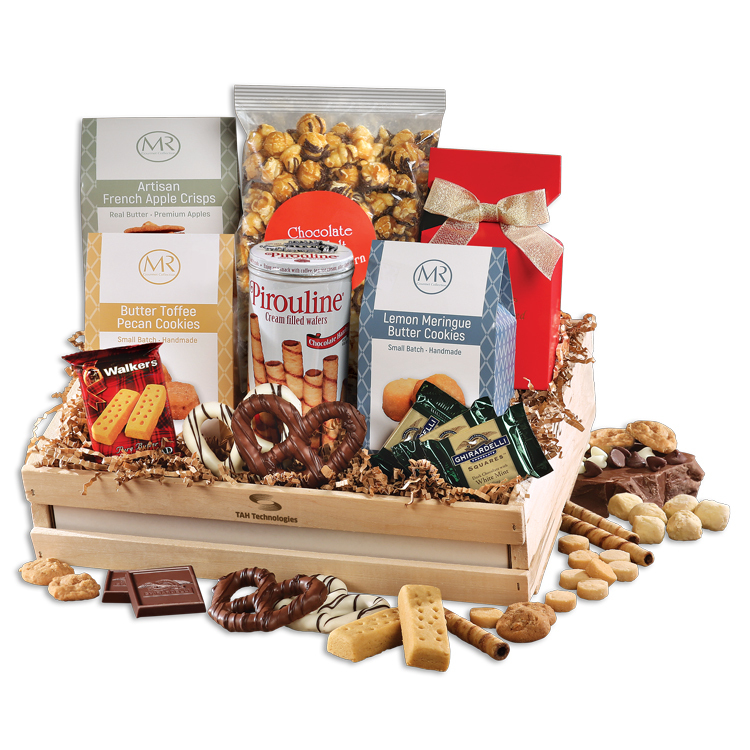 This large crate (Made in the USA) is packed with a variety of gourmet treats including cookies that were created by a chef, trained at the Culinary Institute of America. Bite-sized cookie flavors include Butter Toffee Pecan, French Apple Crisps and Lemon Meringue. We also include Chocolate Sea Salt Caramel Corn, Walker’s Scottish Shortbread, Pirouline Wafers, Chocolate Covered Pretzels and Ghirardelli mint squares. After everything has been enjoyed, the basswood crate can be used to store magazines, catalogs, or papers. Butter Toffee Pecan Cookies, 4.5 oz.